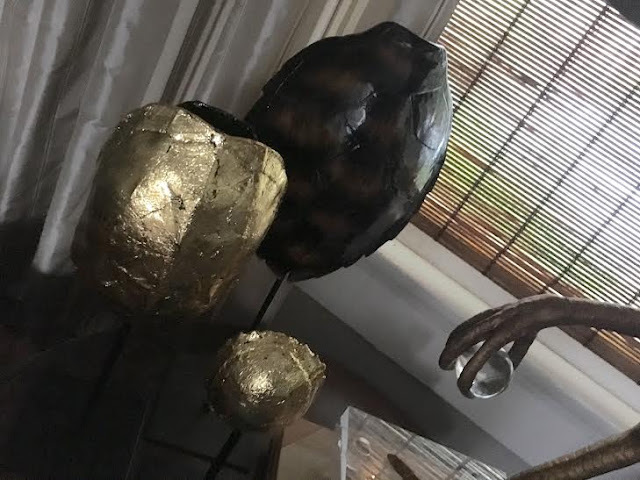 There is something about a turtle shell that I love. I guess its that each one is unique and the natural qualities excite me. 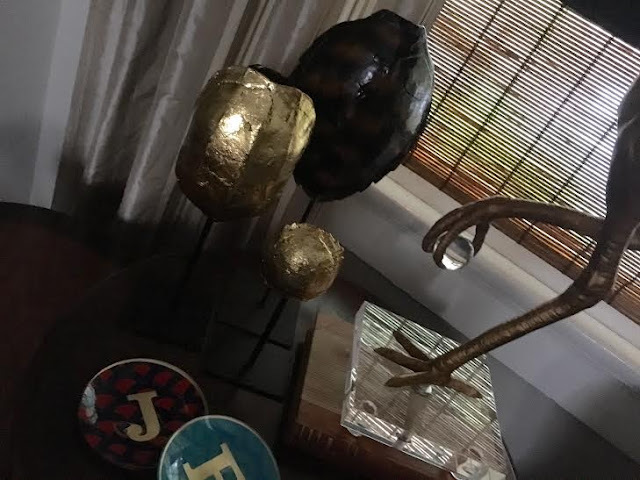 Recently, I purchased a couple gold-leafed ones on stands from Seattle's, Timothy De Clue as well as a larger polished one from Phoenix's, The French Bee. 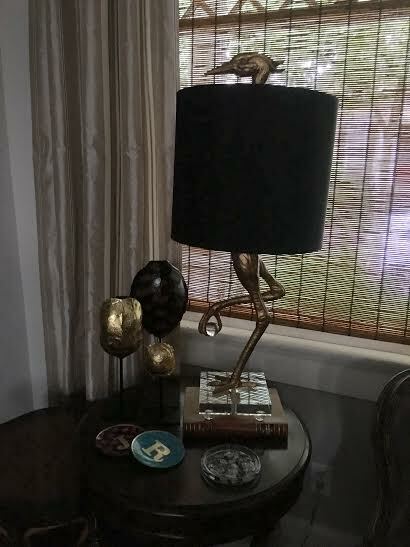 I love natural elements in my home, and the turtle shells look great next to my favorite ibis lamp. I love it- great choices! I love them, too. Yours are really nice. It was fun to swim with turtles on our recent Mexico trip. 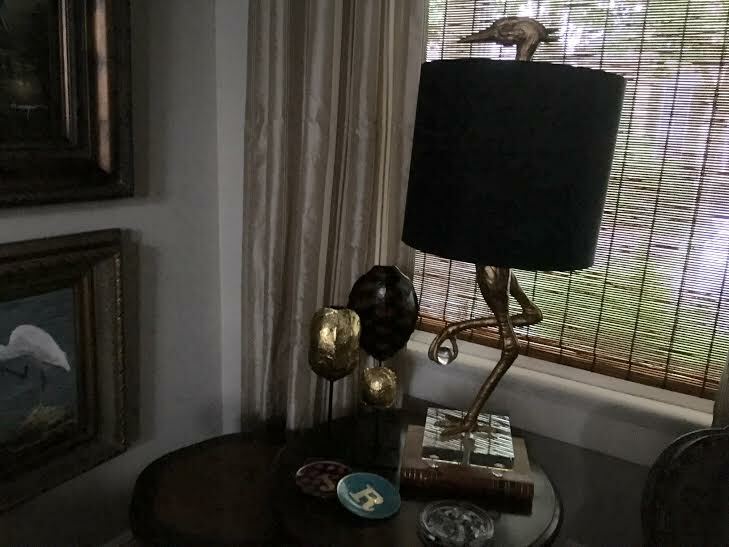 Looks great Ron, along side your awesome lamp. Your shells look great, Ron! You picked some pretty ones!